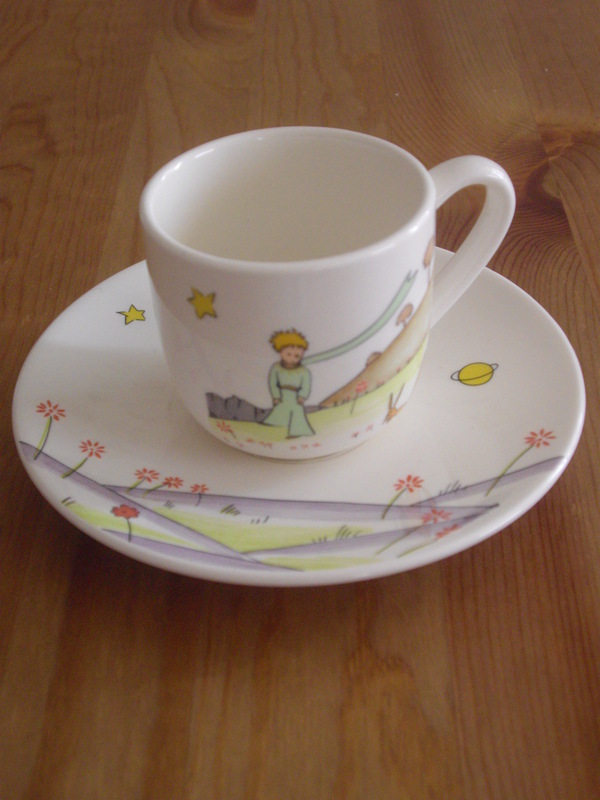 A darling friend gave me a farewell present this weekend: a set of two coffee cups and saucers, from the Gien France “The Little Prince” collection. 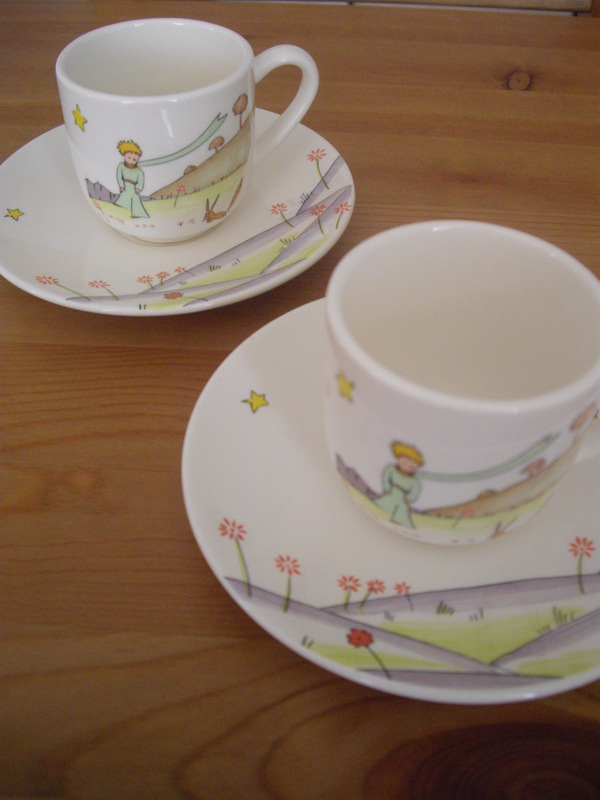 They are beautiful – delicate, bone china, and featuring illustrations from “The Little Prince” by Antoine de Saint-Exupery. They show the Prince, the sheep, the planets, the fox, the flowers, and the stars. I love “The Little Prince”. I have at least four copies (an old, French, hardback from my childhood; a French paperback from my adulthood, purchased on the banks of the Seine; an English paperback with a beautiful inscription from a friend – this is the first edition I actually read; and a collectors edition in a slipcase and blue covering, purchased by my mother for her future grandchildren). All are presently in storage boxes on two sides of the world. When I first read “The Little Prince” at the age of 24, I felt like I hadn’t lived a coherent life before. With language like “All the stars are a riot of flowers”, I felt protected, and wrapped up, and like I had arrived home – a form of security that only a truly wonderful book can provide. 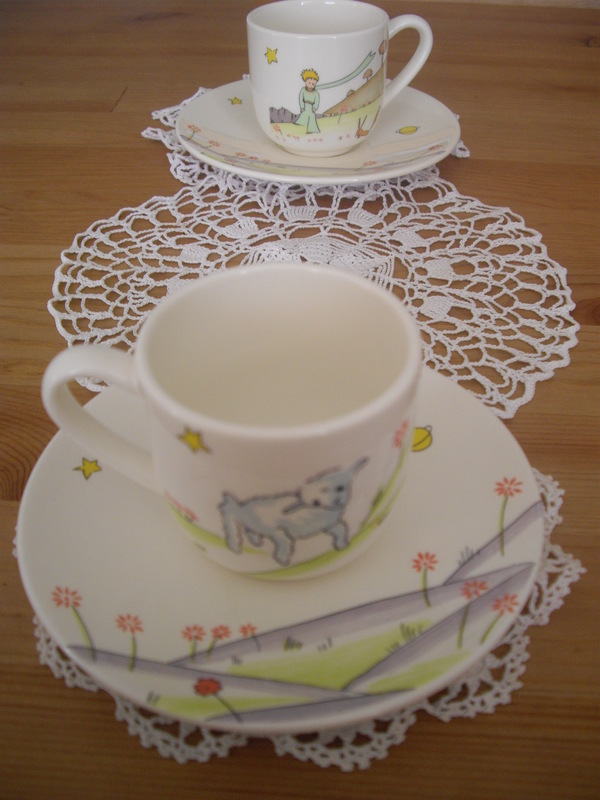 And now I have these beautiful cups! For reasons only my friend and I really understand, this present was particularly thoughtful. These cups made me look towards the future with a great deal more peace, hope, and faith. They will make the perfect start to every day, for the rest of my future. A bucket-load of thanks to my beautiful friend for these truly special little joys. I am very lucky. This entry was posted in Inspiration and Pretty Things by Sophie & thelittlejoys. Bookmark the permalink.